Mr. Huerta brings 15 years of multi-family construction management expertise to AMCAL, responsible for over 2,000 units throughout his career. Joining AMCAL in 2005, he has supervised construction of more than $200 million in projects. He has managed many complex projects involving high-density buildings with shoring, methane mitigation systems, caissons, low water tables, and tight infill sites with limited access. He has demonstrated acumen in conflict resolution and identifying and solving design issues. He is well seasoned in affordable market rate and student housing construction, including managing prevailing wage and LEED rated projects. 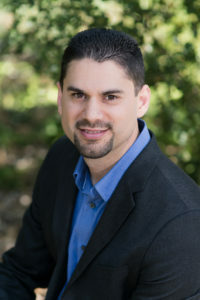 Mr. Huerta attended California State University, Northridge where he received a BA in Real Estate and Finance.